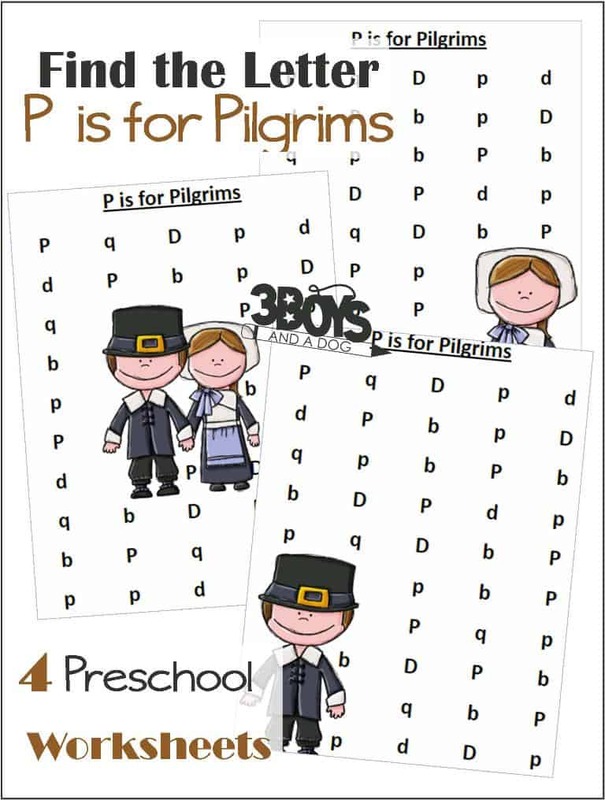 These Find the Letter P is for Pilgrims printables will help your preschool and early-elementary aged children work on recognizing the letter P among many similar letters of the alphabet. As we head into Thanksgiving, many of us find that we are struggling to come up with great curriculum ideas for our youngest children. Especially if we have older kids. I don’t know about you, but I hate always giving out coloring pages just to keep them occupied. I am not saying there is anything wrong with them, but there are other ways to work on fine motor skills and letter recognition! So, throughout November, I will be sharing some free Thanksgiving Printables and other resources to help you plan your Thanksgiving Unit Study. I hope you find these homeschooling freebies useful for you in your homeschool classes! You can have the kids learn shapes by putting a circle around the capital ‘P’ and a square around the Lower Case ‘p’. They could use different colors: for example, green around the “big P” and blue around the “little p”. You can also access all of the Thanksgiving resources here at 3 Boys and a Dog! Looking for more fun items to help you in teaching your kids about Thanksgiving? Check out my top picks from Amazon!